Centennial, Colo. – June 30, 2010 – Commemorating the 75th anniversary of Elvis Presley’s birth, Warner Home Video, Elvis Presley Enterprises, Inc. and NCM Fathom are teaming up to present Elvis on Tour: 75th Anniversary Celebration special in-theater event that celebrates the timeless music of the rock ‘n’ roll icon. The event, featuring remastered film footage shot with The King of Rock ‘n’ Roll ™ on tour and in concert, will be broadcast to more than 460 select movie theaters on Thursday, July 29th at 7 p.m. local time. In addition, this exclusive event will feature performances and interviews from the 1972 Golden Globe® Best Documentary winner, “Elvis on Tour,” and a specially-produced, exclusive retrospective from Priscilla Presley. Elvis on Tour: 75th Anniversary Celebration includes never-before-seen Elvis tour footage as well as montage sequences produced by Academy Award®-winning director Martin Scorsese that showcase The King of Rock ‘n’ Roll’s early career and movies. Tickets for Elvis on Tour: 75th Anniversary Celebration are available at participating box offices and online at www.FathomEvents.com. For a complete list of theater locations and prices, please visit the website (theaters and participants may be subject to change). For readers here in Orange County, California, Elvis on Tour: 75th Anniversary Celebration is scheduled to play at Huntington Beach 20 in Surf City, Huntington Beach, as well as at Irvine Spectrum in Irvine. It is also set to play at the AMC The Block in Orange, and at the Orange Stadium Promenade (also in the city of Orange). Since Elvis’s passing, Priscilla Presley has helped keep his legacy alive as an advocate for his music and as the founder of Elvis Presley Enterprises. As someone who knew the king better than almost anyone, her introduction at the beginning of the event promises to express the depth to which Elvis touched the lives of not just those who knew him, but the whole world. “Elvis on Tour,” Elvis’ last film before his death in 1977, follows The King of Rock ‘n’ Roll as he embarked on a 15-city U.S. tour in April 1972. More than 25 performances spotlight Elvis’ talent, range and showmanship in captivating on-stage performances and intimate backstage rehearsals with his band. Shot with multi-cameras and presented in a split-screen format similar to “Woodstock” the movie, “Elvis on Tour” combines concert, rehearsal and backstage footage to provide all the excitement of having a front-row seat at the show. Concert performances include “Burning Love,” “Don’t be Cruel,” “Teddy Bear,” “Hound Dog,” “Love Me Tender,” “Suspicious Minds,” “Heartbreak Hotel,” “Are you Lonesome Tonight” and many more favorites. Elvis on Tour: 75th Anniversary Celebration also features Elvis’ infamous appearance on the Ed Sullivan Show and his first performance of “Burning Love,” which was so new, he referred to the lyric sheet during the song. Elvis on Tour: 75th Anniversary Celebration will appear in 467 select U.S. movie theaters, including AMC Entertainment Inc., Celebration! Cinema, Cinemark Holdings, Inc., Clearview Cinemas, Cobb Theatres, Georgia Theatre Company, Goodrich Quality Theatres, Hollywood Theaters, Kerasotes Showplace Theatres, Marcus Theatres, National Amusements, Rave Motion Pictures and Regal Entertainment Group movie theaters, as well as Bainbridge 5 (Seattle, WA), The Carolina (Asheville, NC), The Grand Theatre (Bismarck, ND), the Palace Cinema 9 (South Burlington, VT), Penn Cinema (Lititz, PA) and El Raton Theatre (Raton, NM)through NCM’s exclusive Digital Broadcast Network – North America’s largest cinema broadcast network. During Elvis Week events in August of 2010, a special screening will also take place at The Orpheum Theater in Memphis, the same movie house Elvis frequented as a teenager. Tickets to the Elvis Week showing in Memphis are available by going to www.ElvisWeek.com. “Elvis 75th Anniversary DVD Collection,” available from Warner Home Video on August 3, features 17 of The King of Rock ‘n Roll’s films, including the new “Elvis on Tour” and fan favorites “Jailhouse Rock” and “Viva Las Vegas.” Visit the Warner Home Video official Web site www.elvisthemovies.com for more information on events and products. LONDON, June 29, 2010 - Eight of John Lennon's classic solo albums and other standout recordings have been digitally remastered from his original mixes for a global catalogue initiative commemorating the music legend's 70th birthday, which falls on October 9, 2010. Overseen by Yoko Ono, John Lennon's "Gimme Some Truth" campaign will launch on October 4 (October 5 in North America) with the worldwide release of eight remastered studio albums and several newly-compiled titles. Double Fantasy, 1980's GRAMMY Award winner for Album of the Year, will be presented in a newly remixed 'Stripped Down' version remixed and produced by Yoko Ono and Jack Douglas, co-producers of the original mix with John Lennon. The new stripped down version of the album comes in an expanded 2CD and digital edition pairing the new version with Lennon's original mix, remastered. YOKO ONO said: "In this very special year, which would have seen my husband and life partner John reach the age of 70, I hope that this remastering / reissue programme will help bring his incredible music to a whole new audience. By remastering 121 tracks spanning his solo career, I hope also that those who are already familiar with John's work will find renewed inspiration from his incredible gifts as a songwriter, musician and vocalist and from his power as a commentator on the human condition. His lyrics are as relevant today as they were when they were first written and I can think of no more apposite title for this campaign than those simple yet direct words 'Gimme Some Truth'." YOKO ONO added: "Double Fantasy Stripped Down really allows us to focus our attention on John's amazing vocals. Technology has advanced so much that, conversely, I wanted to use new techniques to really frame these amazing songs and John's voice as simply as possible. By stripping down some of the instrumentation the power of the songs shines through with an enhanced clarity. Double Fantasy Stripped Down will be complemented by the original album in the 2CD format. It was whilst working on the new version of this album that I was hit hardest emotionally, as this was the last album John released before his passing." Power To The People: The Hits gathers 15 of Lennon's most popular songs, and will be available as a 15-track single-disc and digital package, and as an Experience Edition with additional content. Both versions will be packaged in digisleeves with booklets including a new liner note essay by Du Noyer. The John Lennon Signature Box is a deluxe 11-CD and digital collection of the eight remastered albums, a disc of rare and previously unreleased recordings, and an EP of Lennon's non-album singles. The CDs will be housed in digisleeves within a deluxe box including a collectible limited edition John Lennon art print and a hardbound book featuring rare photos, artwork, collages, poetry, and new liner notes by DeCurtis. One of the world's most celebrated songwriters and performers of all time, John Lennon was killed at the age of 40 on December 8, 1980. Lennon has been posthumously honoured with a Lifetime Achievement GRAMMY Award and two special BRIT Awards for Outstanding Contribution to Music, and he has been inducted into the Rock and Roll Hall of Fame and the Songwriters Hall of Fame. In 2008, Rolling Stone ranked him in the Top 5 of the magazine's "100 Greatest Singers Of All Time" list. In celebration of his 70th birthday on 9 October, 2010, John Lennon's life and music will be specially feted with a variety of commemorative releases and events around the world. 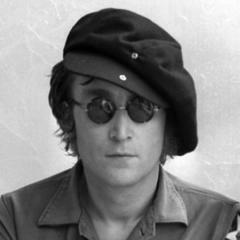 Please visit www.johnlennon.com for official announcements and updates. I am still in the midst of listening to the many great releases I've received over the last couple of months, but I wanted to share some of the highlights of my inbox regarding upcoming releases. Also check out the Music Worth Buying site to read my review of the "Stones in Exile" DVD released by Eagle Vision Entertainment on June 22. If you are a fan of The Rolling Stones, grab this DVD asap. Fairfax, VA (June 28, 2010) --- Grammy winner Marc Cohn releases his newest album, Listening Booth: 1970, on July 20, 2010 amidst a series of performances on television and national radio shows with additional support from Starbucks, which is stocking the CD in its stores across the country. Starting with an appearance on Good Morning America on July 22, Marc will perform on syndicated radio shows "Mountain Stage" and "Acoustic Café," as well as the nationally syndicated television shows "Daytime," "Better TV" and the WGN MidDay News through August. Marc will also be profiled during Nightline’s Playlist segment next month. In addition to Starbucks, Listening Booth: 1970 will be available at all major retail outlets, iTunes and Amazon.com via Saguaro Road Records. Listening Booth: 1970 was recorded in the spirit of Bonnie Raitt's Nick of Time and Alison Krauss/Robert Plant's Raising Sand, where brilliant songwriters took on songs created by others and meticulously deconstructed them until they re-emerged as if they always belonged to them. The result is warmly familiar yet entirely fresh, with Marc’s vocals strikingly bare and placed thoughtfully into austere arrangements. “I’m singing in a different place in my voice on this record” explains Cohn. 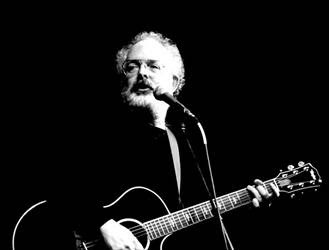 “It was ultimately extremely liberating to just be the singer, not the songwriter, and to try to find the most interesting, unforced way to approach what we already knew were such beautifully written songs.” Marc collaborated with producer John Leventhal (Roseanne Cash, Shawn Colvin) throughout the recording process and invited in India.Irie, Aimee Mann, Jim Lauderdale and Kristina Train for additional vocals. Although Cohn's tour will visit many parts of North America July through October, no Southern California dates were indicated on the press release. I'll let you know in a future post if any local dates are scheduled. Night Work, the third studio album from Scissor Sisters, was released today (Tuesday, June 29, 2010) by Downtown Records - as accesshollywood.com observed, "just in time for its playful summer sound to inspire romance and fabulousness throughout the nation." "Three albums in, the Sisters are as gleefully hedonistic as ever," said Rolling Stone while The New York Times hailed the album as "dirty fun." Entertainment Weekly gave it an A-, observing: "New York's disco-new wave party people are in freak mode on their third disc Night Work, dropping crass come-ons and slutty entendres like parade confetti (gay, straight, you name it). The songs are pretty spicy too, mixing Elton John, the Bee Gees, and Depeche Mode in strobe-light heaven." "Scissor Sisters are back with a naughty new album that's a tour de force," said London's Sunday Times while Filter praised it as "a dance album filled to the brim that could make even a corpse twitch." Spin.com named Night Work one of the "25 Summer Albums That Matter Most" and praised the "deliriously giddy mimics" in an album review. Q awarded the album four stars in a two-page lead review, remarking: "There is nothing cosy or vapid about the Scissor Sisters' good times: their pleasure is a serious business...they translate anxiety into dancefloor electricity." "'Night Work' makes no apologies...this here is the year's most striking reinvention," said NME. Album closer "Invisible Light," which features a spoken-word interlude bySir Ian McKellen,was awarded three-and-a-half stars by Rolling Stone and NPR's "All Things Considered" recently premiered the album's title track. Scissor Sisters embarked on an extensive worldwide tour earlier this month. The band played the Glastonbury Festival last weekend, where they were joined by special guest Kylie Minogue on "Any Which Way," a track from the new album. They'll headline the iTunes Festival at The Roundhouse in London on July 1st and play festivals in Europe, Australia and Japan thereafter. U.S. tour dates will be announced shortly. With over seven million albums sold worldwide, Scissor Sisters are, in the words of Rolling Stone "one of the most improbable and endearing success stories of recent years." The band - comprising Jake Shears, Ana Matronic (vocals), Babydaddy (guitar/bass/keyboards) and Del Marquis (guitar) - released its self-titled debut album in 2004. It became the best-selling album in the UK that year and earned the band three BRIT awards in 2005. Stateside, Scissor Sisters performed on "Saturday Night Live" and enjoyed success at pop radio with "Take Your Mama," which was licensed by numerous TV shows. Ta-Dah, released in 2006, debuted at No. 1 on the UK album chart while lead track "I Don't Feel Like Dancin'" simultaneously topped the UK singles chart. In 1984, the pop-rock world changed forever, as a six-song platter of pop perfection titled Places That Are Gone (Dolphin) put Tommy Keene onto the CMJ charts and atop the Village Voice EP of the Year poll. Blatantly romantic, unapologetically melodic, bittersweet but absolutely invigorating, it was the sort of record that you could put on before you went out on a Saturday night, or sit around and mope to if you didn’t feel like facing the world. It still stands as a powerful statement, not only establishing Tommy as a unique singer-songwriter, but also as a guitarist with a sound as distinctive as Pete Townshend or Johnny Marr. From 1983-2009 Keene has released nine albums, four EPs and three Compilations/Live releases including 2009’s critically acclaimed In The Late Bright (Second Motion) which continued to establish Keene as one of the critically acclaimed (and commercially ignored) power-pop singer-songwriters of our time. For the very first time in his amazing 27 year career, a retrospective of Keene’s finest work can be found in one place. 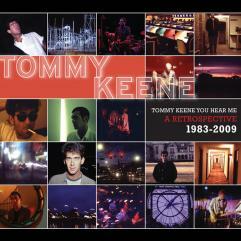 Tommy Keene You Hear Me is a stunning and near perfect collection of tracks that is a must-have for the hard-core fans as well as first-time buyers to introduce them to Keene’s craft. AND Tommy will be touring in September with a full band playing shows that will feature for the very first time the album Songs From The Film preformed in it's entirety along with other selections from the new retrospective! I can remember few periods where such a seemingly-endless parade of new original releases, exciting reissues and creative retrospectives have been issued over such a brief span. In fact, I have not been able to keep up with the tons of tune-age being issued by artists deserving of ear time. So rather than try to write full-length reviews of the great music I’ve been listening to over the past few weeks, I thought I would offer up some brief thoughts and encourage listeners to explore some of these discs (or downloads) on their own. The month kicked off, conveniently enough, with the June 1 release of Wintersleep’s New Inheritors. Although I didn’t get the album until a few days ago, count me as among those impressed with the Halifax, Canada-based rock troupe. To my ears – and remember I’ve only been living with the dozen-track disc since Monday – the sound of the album recalls recent extraordinary work from Band of Horses, Arcade Fire and Dusty Rhodes & the River Band. There is a blend of celebrative rock and Americana-tinged orchestration that really is intoxicating across the album’s length. I know this is last-minute, but Wintersleep will perform at the Detroit Bar in Costa Mesa at 10 p.m. tonight, Wednesday, June 16. June 8 marked the commercial release of three fantastic collections: the epic 3-disc Disintegration deluxe edition of The Cure’s 1989 masterpiece, the excellent self-titled release from Grace Potter & the Nocturnals, and shimmering power-pop release from Rooney titled Eureka. All three sets are already among my favorite commercial collections of 2010. And while I have already featured the Grace Potter disc on an episode of “Music Worth Buying,” I plan to showcase the other two sets in future episodes. 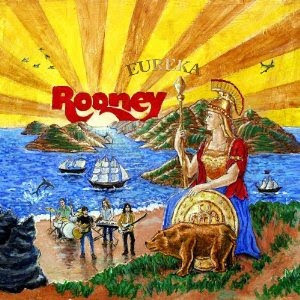 And of further interest to Orange County-area readers of my blog, Rooney will headline at House of Blues Anaheim on Thursday, June 17. Mid-way through June, the list of great releases continues to grow. June 15 saw the release of John Mellencamp’s On the Rural Route 7609. No simple retrospective, On the Rural Route 7609 includes four CDs, but comes packaged in an incredible coffee table book that is annotated by music journalist-historian Anthony DeCurtis, and includes countless photos and details about each of the 54 songs (many previously unheard) and lyrics. This is not a simple best-of collection, but rather a unique collectible that sheds a greater glimpse into one of America’s best-known singer-songwriters. Finally, I want to quickly rewind to an album that came out in May, but I started listening to around the beginning of June. ASIA’s Omega is the creative equal of the legendary group’s excellent 2008 comeback effort “Phoenix.” The supergroup’s chops and accessible songcraft continue to impress me. And when I tell friends to seek out ASIA’s latest two albums, they inevitably ask ‘Who’s in the band?’ It is the original group: singer-bassist John Wetton, guitarist Steve Howe, drummer Carl Palmer and keyboardist Geoffrey Downes. And they still rock. June gloom? Forget about it. This story was originally posted on the Orange County Register Web site's Soundcheck Blog on Sunday, June 6, 2010. 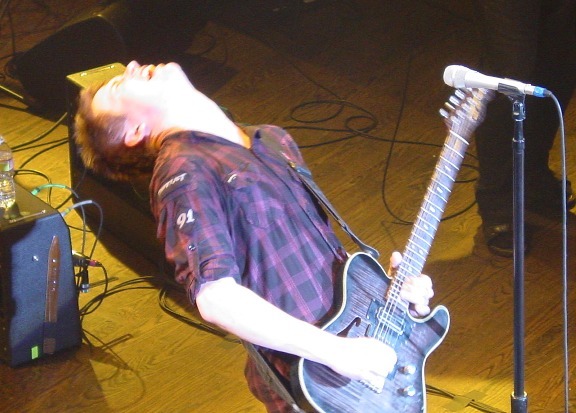 I’ve seen Jonny Lang a number of times since the mid-’90s, but it didn’t occur to me until he took the stage Saturday night (June 5, 2010) in front of a capacity crowd at House of Blues Anaheim that I had always caught him outdoors at blues festivals. Those appearances were certainly memorable, but having now had this experience, there’s little doubt in my mind that Lang is an artist best seen in an intimate club. When he performs, whether singing or blazing away on lead guitar, he typically closes his eyes and uses the sound of the music and his own arsenal of talents to galvanize audiences. And at the Mouse House, Lang re-created much of the power featured on his latest Concord Records release (Live at the Ryman, from April), a concert recording boasting potent renditions of his best-known hits and his ever-burgeoning infusion of gospel, soul, R&B, even George Benson-styled jazz touches into his sound. In “A Quitter Never Wins,” he used the song’s slow blues groove to sing some of his most expressive vocals of the night, trading high-reaching falsetto notes at the far end of his range with extensive lead guitar all in the service of a song focused on the reality of heartbreak. Another highlight early on Saturday also came from that new live disc: “Bump in the Road” somehow blended Chicago blues with a bit of funk and soul, plus Lang’s rich vocals recalling Michael McDonald. A crowd-pleasing reworking of Stevie Wonder’s “Living for the City” was another welcome addition to the set, allowing several members of his long-time band to stretch out musically as well. Lang ended his main set with a reworked version of “Lie to Me,” with the 29-year-old Fargo native playing flamenco style for several minutes before his band returned to the stage to segue into the big-rocking version, enhanced by the star’s Joe Cocker-esque vocals and speedy guitar playing. Opening for Lang was Wichita-based Moreland & Arbuckle, an Americana team mining a mix of Southern rock, Chicago and Delta blues, traditional country and related styles. Guitarist Aaron Moreland and harpist/vocalist Dustin Arbuckle, assisted by fantastic touring drummer Brad Horner, delivered an energetic 45-minute set of mostly original material from their current album Flood. The excellent “Hate to See You Go” was presented as a pedal-to-the-metal Chicago blues with Arbuckle blazing away on his mouth harp, while “Don’t Wake Me” showcased the outfit’s ability to bring fiery Austin-style Texas blues-rock into the fold. Quick tip for the folks at Omega Events: Moreland & Arbuckle would tear it up on the Backporch Stage at next year’s Doheny Blues Festival. Nashville, TN June 2, 2010 -- Jimmy Wayne and Bryan Foods have partnered to bring more than 2500 pounds of food to Nashville’s hungry, particularly those hard hit by the devastating floods May 1 and 2. While so many remain homeless and without the means to provide food for their families, the donation was a welcome sight to Second Harvest, the organization selected to receive the food, and distribute it to people in need. Wayne, who has logged more than 1200 miles on his Meet Me Halfway walk halfway across America, was not in Nashville when the floodwaters hit his city. But his concern for those affected by the flood is great. “It’s been really hard for me to be away from Nashville during this time,” Wayne said. “Hearing from friends who have suffered immeasurable loss is so difficult. And seeing people who are now homeless just breaks my heart. It’s so weird—I’m on this walk to raise awareness of homeless teens, and right there in my own town, so many people have just lost everything. Wayne and Bryan Foods recently partnered for another event: the Ultimate Bryan Neighborhood Grill-Out contest. Wayne will perform at an upcoming backyard barbeque for the contest winner, their family and friends. 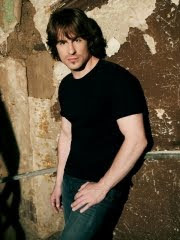 For more information on Wayne and his Meet Me Halfway initiative, visit jimmywayne.com. Jack Tempchin is one of the most successful songwriters of the last 30 years. His songwriting credits include Johnny Rivers' “Slow Dancin' (Swayin' to the Music)” and The Eagles' “Already Gone” and “Peaceful Easy Feeling.” Together with Glenn Frey, whom he met in San Diego in the late 1960s before Frey joined The Eagles, Tempchin co-wrote “Smuggler's Blues” and “You Belong to the City” (which later were sampled on records by hip-hop stars Coolio and Jay-Z, respectively). Tempchin is coming to Dana Point on Saturday, June 5, as part of the Lord of the Strings concert series. He will perform at the Dana Point Community House at 7:30 p.m. Tickets are $20. Other artists who have recorded songs by Tempchin over the years range from George Jones and Emmylou Harris to Richie Havens and such San Diego-bred artists as The Paladins and former Byrds member Chris Hillman. Songs written or co-written by Tempchin have been featured on the soundtracks of such films as “The Big Lebowski” and “Thelma and Louise.” He also co-wrote the “Seventh Heaven” TV series theme song. In 1967, Tempchin befriended Frey after the future Eagle began playing gigs in Southern California with J.D. Souther. Tempchin invited the duo to crash at his combination “hippie pad and candle factory” in North Park, and he and Frey became fast friends. Tempchin co-wrote two songs on 2007's “Long Road Out of Eden,” The Eagles' first new studio album since 1979. With two of his earlier songs featured on “Eagles Greatest Hits 1971-1975,” which has sold nearly 30 million copies in the U.S. alone, he could have retired long ago. But his passion for making music continues unabated. More on Jack Tempchin and his music got to: www.PeacefulEasyFeeling.com. For reservations and ticket information, call 949-842-2227 or visit www.LordOfTheStringsConcerts.com.